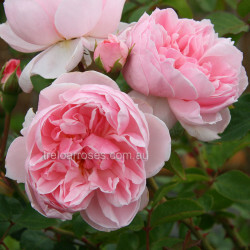 (KORfobalt) - This superb climbing rose will enchant with its very healthy foliage and nostalgic shape of flower. 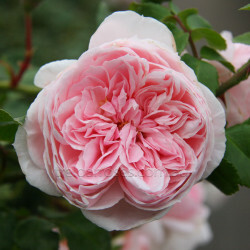 The lovely soft pink flowers are produced in sprays of 4 to 6 flowers and have an old fashioned appearance. The glossy dark green foliage is very resistant to disease. Approx. 2.5m tall. Cinderella captivates like only a princess can do. She has a fine fresh fruity perfume of rose. 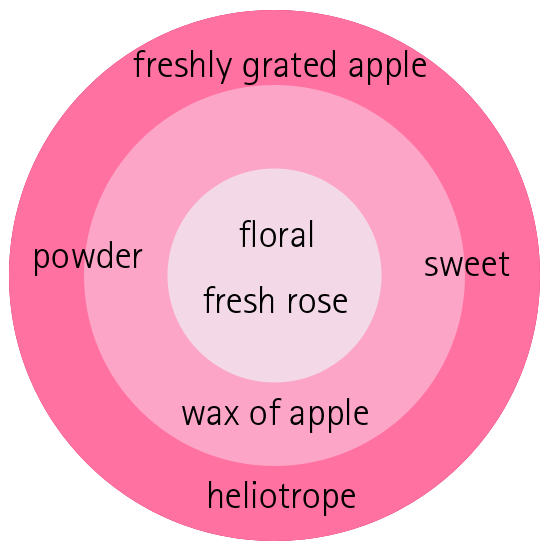 The floral aspects are enhanced by the scent of fresh grated apple and below its juicy mellowness there is an impression of wax. The top note is powdery and sweet while the base note is reminiscent of heliotrope.